Game of Thrones star Kit Harington will play a game called “The Stone of Truth” on tomorrow’s episode of The Jonathan Ross Show, it has been revealed. 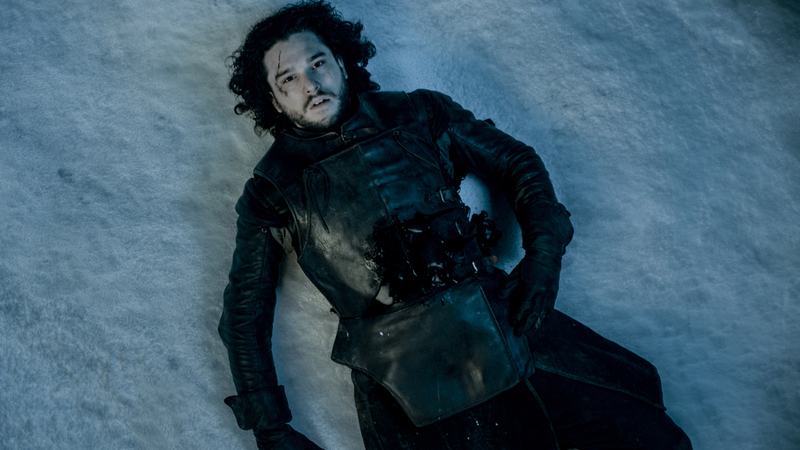 The Jon Snow actor will answer questions about Game of Thrones and the future of his character, who most fans are convinced will somehow survive the brutal mutiny that saw Snow bleed to death in last year’s season finale, in a game called ‘The Stone of Truth’. Depending on the quality of Harington’s answers to Jonathan’s questions, Harington will receive an electric shock. Harington is appearing on The Jonathan Ross Show to promote his upcoming play Doctor Faustus, which opens in April at the Duke of York’s Theatre. Tomorrow’s episode also features appearances from Anna Friel, Frankie Boyle and Tinie Tempah. Watch the full interview and lie detector test on The Jonathan Ross Show tomorrow (Saturday, April 2) at 9.35pm on ITV. Jonathan Ross is having a fantastic few weeks. He’s only scooped the world’s biggest boyband to appear on his chat show The Jonathan Ross Show this Saturday. After viewing a sneak preview of what the boys had to say during the recording of the show, here are five quotes from One Direction on Jonathan Ross. Harry: I don’t think we’d change anything we all feel very lucky to have had this opportunity and I think if we sat and started thinking, ‘I wish we’d played more pubs or clubs’ it’d be a silly way of looking at it. Liam: Having a fridge is actually a really good thing when you go home, having your own fridge with your own stuff in but there is room service the opposite side as well. Niall: A Sunday roast, even if it’s not a Sunday. Harry: I don’t know, I think we’ve got the album coming out and stuff and obviously we just finished the tour so we have a lot of work that we’re still focussing on and then I think the point of the break is that it’s going to be a break and we’re going to have some time off with no pressure. Harry: Okay, I didn’t know that was the speculation. I’d say I think everyone writes from personal experience and I think you draw from lots of different things and songs aren’t always necessarily about what people may take them to be about, sometimes they are. One Direction will appear on The Jonathan Ross Show tomorrow at 10.40pm on ITV.